Chef Kanthi brings the authentic tastes of South India to the Community Kitchen, sharing the cooking techniques and flavour combinations that have evolved over centuries so you can prepare a typical homestyle south Indian meal in Brighton. You will typically prepare a menu of: aubergine bhajis with beetroot chutney, Keralan vegetable stew, spinach dhal, lemon rice and masala potatoes, with Chef Kanthi demonstrating a coconut pudding to finish. 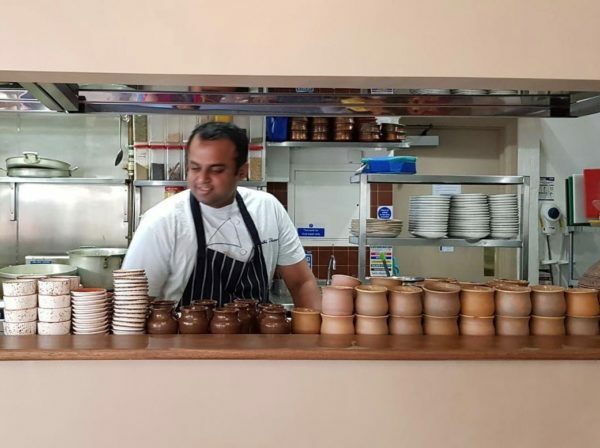 You will prepare the menu working in pairs, with Kanthi’s guidance, then sit and eat together, with the option to bring your own drinks to enjoy alongside the meal. Find out more about Kanthi and the other cooks who teach in the Community Kitchen.